A memorial to the 32 people, gay and gay friendly, who died in an arson fire in New Orleans in 1973. A young gay man struggles through political, moral, and familial pitfalls on his way to love and forgiveness. A queer Christmas Musical starring the Three Magi, Gold, Frankincense, and Myrrh, and their quest for stardom. Thanks Chicago! Help Us Return to NOLA! We hadn't been to Chicago in years. My partner Cody and I got flown in for a new independent production of "Upstairs." It was a truly magical trip, with surprise appearances from several old friends and a chance to visit a museum and a bar or two. It's a great city and it won't be so long until our next visit. the roles that were unlike any that I'd seen. They brought something to the characters that was new to me and those new wrinkles helped to inform my next round of changes. Yes, changes. Because it hasn't been published, "Upstairs" has continued to evolve. The core of the story is still the same--historically-informed retelling of the night of the fire followed by a set of imagined meetings among some of its survivors. But it's really become the story of the bartender Buddy and his attempt to make sense of an unspeakable tragedy even as he finds a way to move on. As we follow his journey, we laugh along with the patrons, discover some secrets, learn a few things about trauma, and imagine what drives men to acts of unspeakable cruelty. So, since Chicago, I've been honing these points and preparing for what's next: a return to the city where we began this journey, New Orleans! We premiered in New Orleans five years ago with a cast mostly from the Los Angeles area. Since I live in Southern California, this was really the only way to develop the show and get it ready for the 40th Anniversary of the fire. But five years hence, it's time for an all-New Orleans production. 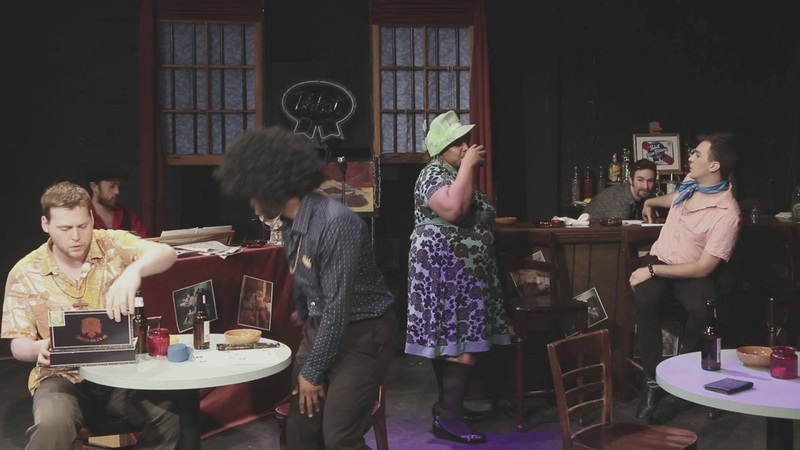 NOLA Voice Theatre is raising money to fund a production based in New Orleans with a New Orleans-based cast and crew. This is very exciting to me, personally, for several reasons. First, I get to go to New Orleans, which is always a treat. I get to see old friends and make new memories and enjoy a magical city. Second, I'm sure to get a repeat of Chicago. The performances, coming as they will from people immersed in the character of the city, will be new and exciting and authentic in ways that will bring me back to the script to further improve it. I have no doubt that I will learn a great deal from what I will see. Third, we will commemorate the 45th Anniversary of the fire and all that has happened since we premiered. Clayton Delery's book, "The Up Stairs Lounge Arson: 32 Deaths in a Louisiana Gay Bar," came out and won a lot of acclaim. Robert Camina's documentary, "Upstairs Inferno" premiered and won a great many awards on the festival circuit. "The View UpStairs" premiered off Broadway. And a new book called "Tinder Box" will be out by June. In five short years, a movement has coalesced to reclaim the history of the Up Stairs Lounge fire and contextualize it for our time. This is to be celebrated and I look forward to that. If you have the means, please visit gofundme.com/upstairsnola2018 to help raise the money to fund the production. Time's running out and they can't do it without the funding! Regarding "The Best of MacLeod"
So he’ll take to Twitter and gladly promote us. When we call him Domhnall, the best of MacLeod! Now unironically dead from anemia. To tell of his virtues, the best of MacLeod! We’ll cut off a meter and torture a rhyme. It’ll sound mighty fancy, that’s best for MacLeod! With prose that shows trap-flapping's also for guys. And abjectly pour out our best for MacLeod! And cheer for the Chosen, of treason suspected. To indulge and defer to the best of MacLeod! Best? Easy quest midst the under-endowed. If this Viscount of Piss is the best of MacLeod! Power, we’ll give him, to know evil men. We’ll make him a god, this best of MacLeod! Rewarding our toadying up to the POTUS. He do it?” We just got the best of MacLeod! I'm taking at least one Daily Action to #ResistTrump! Every day, I Affirm, Sustain, Reflect, and then Act. To see the Affirmation, click here. To see the Principles I'm working from, click here. So what are you doing? Let me know in the comments, and maybe I'll do it too! This evening, I'm visiting the Improv club in our local mall to see some stand-up comedy! I love stand-up, just generally, as a form. It makes me very happy to watch stand-up and laugh with friends and the performer doesn't even have to be that good! Thankfully, I live close enough to Los Angeles that great comics will travel down to try out new material. Tonight, I'm seeing lesbian comic Fortune Feimster, who is hilarious. Check her out on YouTube! Hard to hear, but this article may help us form a cornerstone of resistance. It's called "The Case for Normalizing Trump" and it argues that other countries have had success against Trump's ilk by treating them like they'd treat any political foe. I see the wisdom in it. Lots of people identify with Trump and share qualities of personality with him. An attack on his persona is an attack on them. To drive a wedge between Trump and his supporters, we have to stop punching down. Our enemy isn't the Trump voter. It isn't even Trump. Our enemies are ignorance, xenophobia, misogyny, and greed. Can we combat those rigorously without attaching faces to them? I think we can. And I think we have to. #ResistTrump? Yes. His policies. His presidency. His plans. His personality? His appearance? His family? Let them alone. Today I'm doing the one of the several things I've made it a point to avoid in these journals: sharing an article and calling that action. But this article is so good and so important and so very in line with the mission and principles of this journal that I think sharing it with you is more important today than signing another petition (which is all I would have time to do today anyway). It's "A Yale history professor's 20-point guide to defending democracy under a Trump presidency." I'm not going to quote it here, but I am going to print it out and even use it to modify both my Principles and my Affirmation. If you intend to #ResistTrump, his guidance and information will be invaluable. On Spotify: The hopeful yet entirely unsentimental, ahead-of-its-time funkadelia of Sly and the Family Stone. 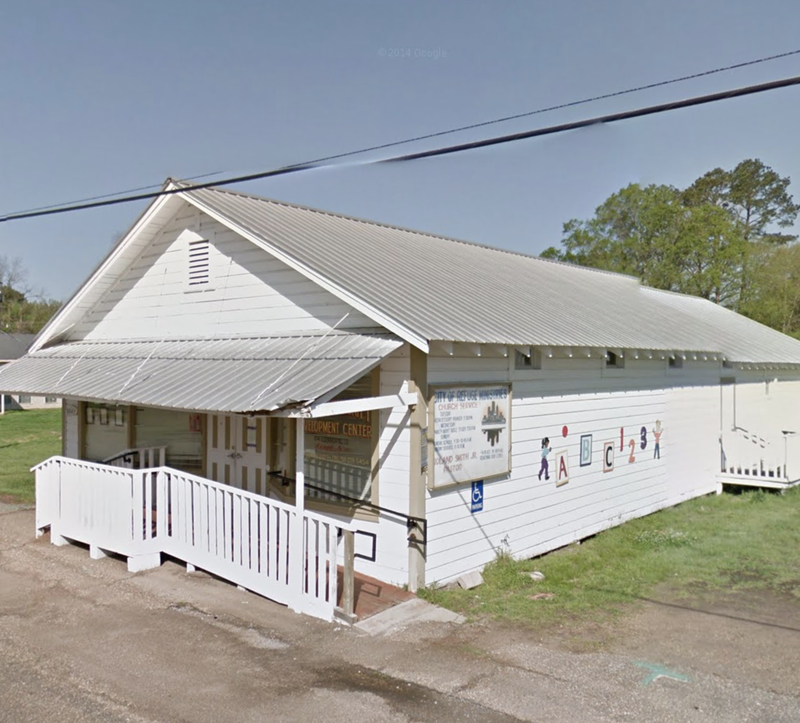 Campti, Louisiana is the closest remaining thing I have left to a hometown, since the place where I grew up, some 7 miles away, unincorporated long ago. According to the U.S. Census, it's got the 8th lowest income in the country. The town was recently featured in a thoughtful and lengthy piece on Thinkprogress that everyone should read. And this was before this year's flooding, which had disastrous effects on area homes and businesses. There were once several options for manufacturing jobs in the area, but they've been disappearing for years, along with a once-robust tourism industry around nearby Black Lake, where many of my relatives and childhood friends still live. The Great Recession and the recent natural disasters have only hastened a decades-long decline in the whole area. People who could move from Campti itself to other opportunities have done so, shuttering their homes and businesses in the process. Today, the town is mostly black and voted for Hillary, but the very white nearby rural settlements and the largely white Parish seat voted for Trump, angry at the decline in their surroundings and way of life and also, perhaps, at voters whom they see exacerbating the problem by taking up too many taxpayer dollars. Needless to say, a lot of people in Campti, black and white, rely on SNAP (aka Food Stamps) to help feed themselves and their families. Paul Ryan has introduced a plan to make drastic cuts to this Federal program, and I don't see any reason it won't pass the Republican Congress and get signed by Trump. This Ryan/Trump initiative will hurt Campti more than it will hurt most places. It's too rural to have a network of charities or many municipal resources to pick up the slack left by a Federal departure. The Parish doesn't care. The State often makes it a point not to care. Today, following the lead of my friend Paul Bradshaw, I'm participating in #GivingTuesday, a play on #BlackFriday, #CyberMonday, etc, but with giving instead of consuming. And I'm giving to two places: 1) Campti Soup Kitchen, and 2) The Helping Hands Store at Creston Baptist Church (where I attended as a boy!). The reasoning behind these two gifts is both practical and symbolic; practical because Creston Baptist Church is white, while Campti Soup Kitchen is in a mostly black community, and symbolic because the coming cuts to SNAP will hurt both communities, perhaps in equal measure. As the GOP shrinks the Federal safety net, we're all going to have to dig a little deeper and give a little more. Maybe a lot more. Dare I think that maybe this isn't such a bad thing? But dare I guess who will be doing most of that giving? As part of this action, I'm going to be challenging specific friends and family members, Trump supporters, to put their money where their mouths are and start giving to the charities they always said would replace the Government. "I Shall Not be Moved" as sung by Johnny Cash. Hear it here on Spotify. So many things had to go wrong, for Trumpism to take hold. The good news is, it took a perfect storm of media cowardice, celebrity culture, xenophobia, FBI shenanigans, Wikileaks, Putin, a left that was both complacent and outraged, and, of course, misogyny. The bad news is, well, it worked. Everything from the NYT to Nate Silver failed this time. Where do we put our faith? I put my faith in God and in myself. I know who I am and where I stand and I will resist. Trump's latest tweet storm about the election results has pushed me back into Electoral College activism. Over at Slate.com, their analysis is that this tweet isn't simply more bluster from Trump, but the beginnings of a precision attack on voting rights. If this attack is successful (and, frankly, who's going to stop them? ), it could keep them in power indefinitely. This is how authoritarianism takes hold--with "elections" that the opposition can't win. So I'm back to trying to cut him off at the pass with the Electoral College. The chances of change here are slim, but success would pull Trumpism up by the root and save us from potential catastrophe. My name is Wayne Self from Aliso Viejo, CA. I would be fine with a moderate or even conservative Republican who was qualified and believed in the limitations of the office. But each day we get another indication that Donald Trump will have unprecedented conflicts of interest, unprecedented disdain for his critics in the public and in the press, and unprecedented willingness to include at the highest levels of power people who think of themselves as at war with various groups within this country. This is not acceptable in any President, certainly not one who has lost the popular vote by 2 million and colluded with Russia to do it. Please, please select someone other than Donald Trump to be President. The future of our democratic republic is at stake. Today I take sheer escapist pleasure by prepping for my weekly Dungeons & Dragons game! Tabletop RPG's are a great way to connect and collaborate with friends to collectively tell a story. During these worrisome days, escaping into a fantasy world with friends for a few hours can really be a comfort. I'm prepping to take my group through "The Curse of Strahd," a published work of the fabled Ravenloft adventure and setting! I've never played or run anything in Ravenloft, so I'm very excited about it! Can we just say everybody was right? Bernie folks, y'all were right. We should have picked Bernie. Hillary folks were right. She only lost because of Comey, misogyny, and Wikileaks and Bernie would have lost even more. It is absolutely correct that we should focus all our energies on a recount. It is absolutely correct that the recount is a stupid waste of time. Any reason for our loss of the Electoral College is probably a good one. Stein voters cost us? Probably. Didn't reach out to enough coal miners? All right, sure. Reached out to too many coal miners? All right, samesies. Let's just stipulate that every one of us is a political science expert and we are each simultaneously one hundred percent correct about how we got here, what we should have done, and what we need to do next. Good. Now that we all have an "I was right" prize, can we please stop wasting effort telling each other we're doing it wrong? We actually do have enough money, enough time, and enough energy to do everything that needs doing. 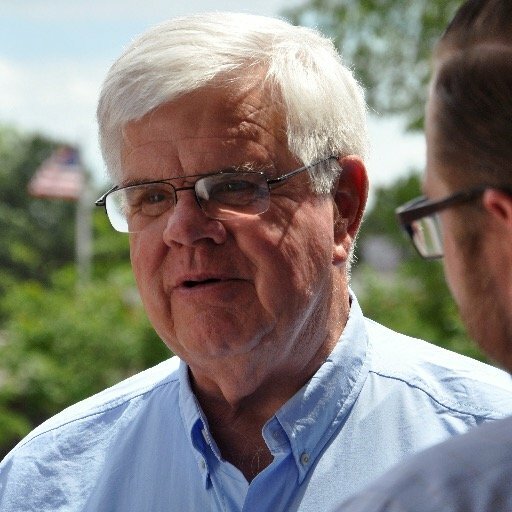 We can support Foster Campbell's Louisiana Senate run AND support the recount. We can join the ACLU and urge the Electors to #DumpTrump. We can support each other in our efforts, even if our priorities aren't identical. Want to reach out to white working class voters? Mazel Tov. Want to stand up for minorities now more than ever? Good! We don't have to choose. We must do it all. And we can, too, if we devote the time. Shout out to my friend Carol Bernard for suggesting today's action. 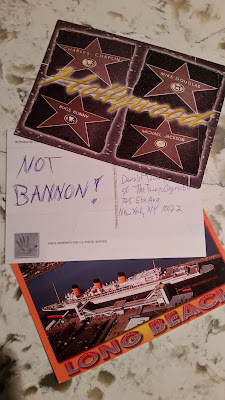 It's a postcard to #StopBannon! Steve Bannon is the propagandist and hate-monger that Trump has selected to be a Senior Advisor. It looks like Trump is the sort of guy who agrees with the last person he spoke to, so we need advisors close to him that are, well, not Steve Bannon. For more on Bannon and why his appointment bodes ill for a fair and decent Trump administration, click here. Today I'm sending a postcard to Donald Trump to tell him NOT BANNON. Lots of people are doing this, and the idea is to do it all at once, so try to do it today, if you can! 1. Get a postcard from your state - any picture that represents your state. 5. Affix a stamp - you can use a 34 cent postcard stamp, or a normal letter stamp. 6. Take a picture of your postcard that you can share on social media on Nov. 26-28th. deep red Louisiana. Let's help him out! 1. "The arc of history is long, but it bends toward freedom." Then away, then toward, then away, depending on who shows up to do the bending. 2. "We've finally changed things for the LGBT community." Well, yes. But they can always change back, because we will always be in the minority and subject to the whims of public approval. We need to cast our gains in stone. But, even then, political action and awareness are the duty of every member of our community, because they are our only means of defending the gains we make. 3. "Demographically, the future is ours." Maybe, but the other side hears that, too, and is taking steps to prevent it. It's very likely that voter suppression cost us the election and they managed that without owning all three branches of government. Look for them to set the levers how they like them, then break them off. 4. "Social Media/Get Out the Vote/Latinx People are/is our secret weapon." Sharing something on Social Media is satisfying and easy, but it is simply no replacement for the physical activism of writing a representative or attending a Town Hall Meeting. If the Tea Party did anything decent at all, it's the lesson it offers us. We have to get off our computers and go show up. We can't rely on complex operations or our presumed advantage with any class or race to save us. The rural voter has many advantages. His vote counts more in a Presidential contest. Her vote matters more in a Senate race. But there are more of us! We have to be more than a vote. We have to be a voice raised loudly, not in a single shout, but in a steady, unrelenting anthem that says "This is not okay. Fix it. Fix it. Fix it." Today I gave to the Senate campaign of Foster Campbell. He's a Democrat who's in the run-off in my home state of deep Red Louisiana. A win in that state would give us one more precious vote in the one body that's capable of countering the worst of Trump's excesses. I made mine a small weekly gift until the Dec 10 runoff because a weekly gift helps them to budget more effectively. I'm taking at least one action every day to #ResistTrump! Every day, I Affirm, Sustain, Reflect, and then Act. To see the Affirmation, click here. To see the Principles I'm working from, click here. So what are you doing? Let me know in the comments. Spotify, the music of my friend and brilliant Jazz musician Mark Etheredge. Check out his artist profile for some funky, fun, modern Jazz rock in the vein of Steely Dan. I'm working from is Today is a good day to subscribe to the New York Times. A strong, independent, robust media is an important hedge against authoritarianism. Trump knows, it too. Yesterday, he lashed out at media representatives in a closed door meeting and today he canceled a scheduled meeting with the "failing" Times. Let's make sure it doesn't fail. It doesn't cost that much (they're doing a sale right now: $3.13/week for all access digital edition) and it sends a powerful message to Trump that we will not let our media outlets be intimidated. Let's show that we value real journalism over "free" eyeball-grubbing clickbait sites. And let's show the Times that we have their back! I'm also subscribing to the Washington Post and Slate Plus. In fact, I'm adding a new Principle today: Use Social Media; Don't Let It Use You. It's a sad truth that Social Media values your eyeballs more than it does your voice. It doesn't care what you have to say, just as long as you're clicking a lot and looking a lot. Liberal and Conservative sites alike use provocative headlines to get your attention. The aggregate of all this provocation is a feeling of dread and anxiety among its users. And, while deep concern is a rational response to current news, we don't make great decisions under the cloud of fear. So, for me, for now, Social media is for organizing specific, positive action. And for chatting with faraway friends. That's it. Hey! NYT gave me a free bonus subscription to give out! Share this post on FB and I'll enter you in a random drawing for the bonus subscription! Daily Action rules: 1. Do at least one thing every day. 2. Social Media can help, but social media alone doesn't count. 3. Journal it with detail or it didn't happen. I also called the Department of Justice at 202-353-1555 to demand that they audit the 2016 vote, especially in PA, MI, and WI. 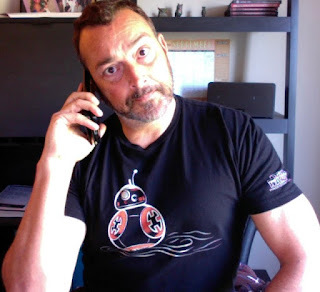 The line was very busy; I had to keep dialing! And, at the request of my friend and commenter Jan, I called and took Paul Ryan's survey regarding the future of the ACA (aka Obamacare). Instructions: Dial (202) 225-0600. Stay on if you get dead air. It takes around 90 seconds to connect to survey. Once it picks up, follow the prompts. If your call isn't answered at first or it goes directly to the recording of "mailbox is full," wait 15 seconds and then try again. You will have to listen to a short message about the Speaker's views on Obamacare before you vote. Today is a "Free and Fair Elections" day. Between Russian hacking of the DNC and State voter registries, the FBI's thumb on the scale, and voter suppression in states like North Carolina, I'm by no means convinced that the fix isn't in. (Honestly, I'm sort of annoyed at Democrats, who had 8 years to try to fix or at least bring attention to the voting irregularities that have been taking place for years. I'm also a little disappointed in the Clinton campaign. Weren't they supposed to be world-class behind-the-scenes schemers? Machiavellian mastery in countering GOP dirty tricks was part of the Clinton brand, for me, but Wikileaks revealed the whole operation to be surprisingly straightforward.) I guess its stands to reason that whoever's in power won't want to fool with the system that got them there. But, at some point, the people need to demand elections that don't seem so shady, even when the outcome doesn't favor us. But that's for later. For now, it's time to take a couple of moon shots to maybe keep Trump from getting to the White House at all. Since he lost the popular vote by a number approaching 2 million, and since we don't know the extent of Russian meddling, and since he's entirely unqualified for the job, it's fair to ask the Electors to be #faithless as part of their duty. Today's Action(s) Daily Action rules: 1. Do at least one thing every day. 2. Social Media can help, but social media alone doesn't count. 3. Journal it with detail or it didn't happen. Today I signed this petition at Change.org asking the Electors to switch their votes from Donald Trump. This is highly unlikely to have any impact, but it's a roll of the dice that can't hurt anything. Trump's loss of the popular vote, his ineptitude in these first few days of transition, and his unpopularity among traditional Republicans might be enough to sway some folks. It's worth a shot. I also signed this petition asking for an audit of the election in states where paper ballots are used. We know that, NC, PA, WI, and FL all showed Hillary ahead, all dealt with Russian hackers, all had her winning the exit polls, and all had her lose by narrow margins. This should at least be investigated. I mislike petitions, however, and signing them doesn't feel like enough. So I also tracked down this list of Electors and this list of Elector addresses in Wisconsin. My thought is that a lot of individual letters may have more impact than one petition with a lot of signatures. Wisconsin is a good choice because of the close margin there, the possible fraudulent activity there, and the reputation for moderation in that state. I wrote the following letter and will mail it today to each address that can be discerned from the form (which I think is all of them). - According to the NSA, Outside influence from Russian hackers may have corrupted our results. - Donald Trump is historically unqualified to be President, or to represent conservative principles and ideals. - Clinton won the popular vote by over 1.5M votes, and the margin Wisconsin is thin enough to raise questions in the absence of a recount. Please carefully consider these points as you carry out this important responsibility. The future of our nation may be at stake. Each day, I'm doing at least one thing to resist the presidency of Donald Trump. Every day, I'll repeat my Affirmation, enjoy some music or poetry for Sustenance, write a short Reflection, then do today's Action. To see the Affirmation, click here. To see the Principles I'm working from, click here. So what are you doing? Let me know in the comments. Clear conflict of interest with his business and family and general lack of qualification for office. Everything we see so far looks like the recognizably slow but faster-than-it-looks rise of authoritarianism. It must be resisted and we cannot let Trump add the mystique of the office to the considerable power he will already wield. Today I joined the American Civil Liberties Union (ACLU): "The ACLU works in the courts, legislatures and communities to defend and preserve the individual rights and liberties guaranteed to all people in this country by the Constitution and laws of the United States. Read more about the history and mission of the ACLU." I also printed out and prominently posted this list of places and products to boycott. It's clear from his actions so far that Trump still cares a lot about his business, perhaps more than his presidency. If enough of us participate, boycotts have the capability to hit him where he lives. Hello, my name is Wayne Self. I'm a longtime Amazon Prime customer and regular user of Amazon.com. I love its speedy service and stunning variety. However, I have a problem as a customer that I hope Amazon will take steps to solve. Apparent President-Elect Donald Trump has made good on his race-baiting campaign by hiring as a Senior Advisor Steve Bannon, who has indicated that there are too many Asians in power in Silicon Valley, and that African Americans are "naturally aggressive and violent," and, I kid you not, actually praised Satan. It is past time for Amazon to disassociate itself from the Trump name and brand, a brand which is endorsed by the KKK and is now synonymous with white supremacy. Amazon is better than this. Because Trump has not divested himself of any potential business conflicts, he will know and care if his bottom line begins to suffer. You therefore in a unique position to make a powerful statement about what is acceptable as political and business practice in this country, and about what your brand represents. Please make it clear that Amazon has no business with white supremacists.